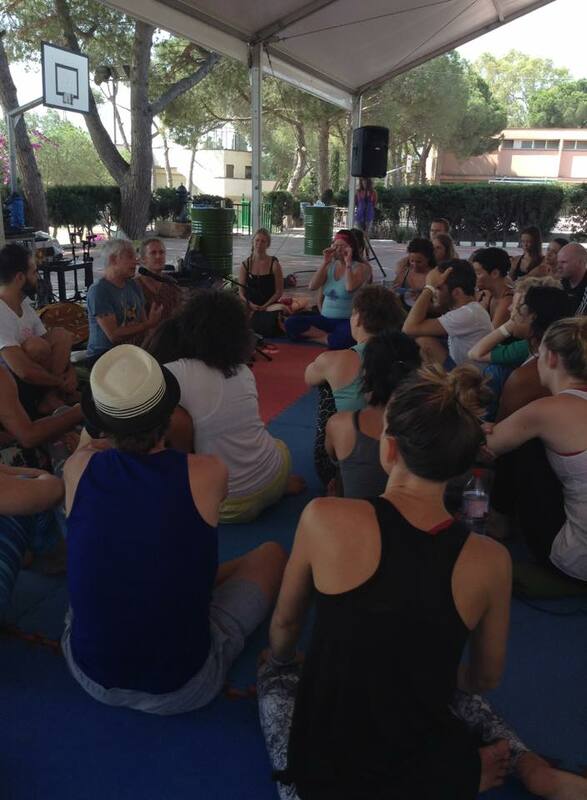 Jai Uttal has been leading Kirtans worldwide for over thirty years and it was such an honor to have him at The Barcelone Yoga Festival fro the amazing kirtan on Saturday evening and on the post conference with the accro yoga workshop. Strating chanting kirtan : these ancient chants for a while created a magical space full of transformative power and healing energy. By singing all together these prayers we joined a stream of consciousness and devotion before practising accro yoga : powerful ! While chanting these ancient chants we uplifted and elevated our divine energy and the energy of those around us. AcroYoga after that was such a blissful and invigorating practise. We were soaring through the air, supported by the feet of our partner, while sininging mantras. Let’s try it next time.